On Sunday 9/10/2017, Steve Bannon was interviewed on 60 Minutes. 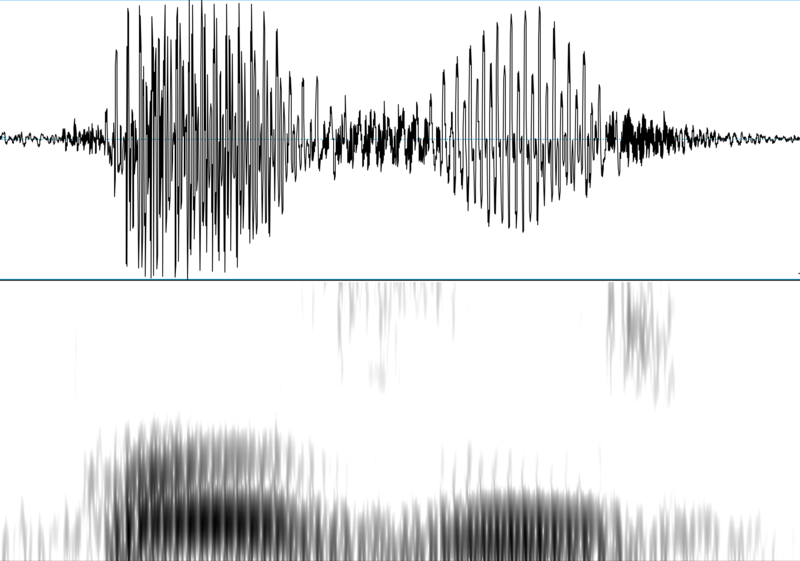 Looking at the interview from the perspective of a phonetician, I was struck by pervasive evidence of a little-studied sound change in progress. Word-internal intervocalic coronal consonants — /t/, /d/, /n/ — in weak positions (i.e. not followed by a stressed vowel) are deleted, and the surrounding vowels are merged. This process is increasingly common in American English, and is frequently exemplified in Steve Bannon's speech, at least in this sample. if they do not support the president of the United States. Right now there's no accountability. everybody in the city knows it. I've put in bold nine words where this process might apply. Let's take them one at a time. (6) In the sixth example, "president's" becomes something like [ˈprɛ.zɪ̃z]. This exemplifies not only coalescence of the second and third syllables, but also simplification of the final consonant cluster, which is partly due to loss of the nasal murmur and partly to the loss of the /t/ closure. Both of these last phenomena are also widespread and almost obligatory — for example, Americans rarely pronounce the /t/ in final /sts/ clusters (as in "artists"). I'll leave you to check the remaining three cases — "capitol", "everybody", and "city" — but my evaluation is that none of them show coalescence, so that the final score is five out of nine. There's obviously more to be said. Are coalescences of this kind the end point of gradient phonetic reductions, or instances of an essentially quantal or symbolic "phonological rule", or new pronunciations entered in the mental lexicon as a result of either phonetic or phonological changes? Or maybe all three? For more discussion (than you probably want to read), see my paper "Towards Progress in Theories of Language Sound Structure", in a forthcoming festschrift for John Goldsmith. Well, I've been listening to quite a lot of political material from the US lately, and I've found it really striking how the phrase President of the United States is highly reduced for most of the talking heads. So I think the "entropy thing" is a major factor (as it always is, of course). I was with an American friend at a restaurant in Sri Lanka. He was thirsty, and asked the waiter for some [r], just a syllabic [r] with some schwa colouring perhaps, and maybe, or was I imagining it, just a hint of rounding at the onset of the syllable. The waiter had no idea what he was asking for, and my friend was getting more and more frustrated, and kept on repeating his [r], longer and louder. All to no avail, until I finally took pity on them both, and in my best British accent, said [wɔ:tə]. Is any of this really new? All of these reductions are unremarkable to me in fast speech; I might speak like this myself (minus the accent). It reminds me of the supposed "Fluffia" regionalism, but try saying "Philadelphia" quickly and tell me it doesn't sound like "F'luffia". You mention the loss of the /t/ closure in "president's", but I've been told Americans pronounce "prince" with a /t/, and I think I do, though not much of one. Do most of us have a prince-prints merger? Do some of us say it with a /t/ and some without? I thought I remembered it coming up here before that "isn't" is sometimes pronounced with a short flap or tap or stop in place of the s.
During Bob Dole's 1996 presidential run, I recall hearing a piece on NPR about Dole's truncated pronunciation of "presidency" (something like "prezny" if I remember right). But a quick Google search fails to turn it up. Ah, here is the post I was thinking of. Not "isn't", but "didn't". There's a female personality on my local radio station who does this often, even when speaking slowly and carefully. It's particularly noticeable in a spot she often reads for a charity raffle that's run a couple of times a year. It sounds much more odd in slow speech than when spoken quickly, and I can never escape the impression that she sounds drunk. [(myl) Well, this is clearly a phonologically-conditioned phonetic change, with perhaps some lexicalization as well, so it counts as a sound change. And it's variable, as Mr. Bannon's two pronunciations of "totally" illustrate, so it's a change in progress. Could it at least be a very slow change, taking place on a time scale of centuries rather than decades? That's certainly possible. I recently deleted the /b/ in "maybe"; how sure are we that this is specific to coronal consonants? I knew a couple kids in high school who had deletion of weak /t/ and /d/, for example saying "better" as [ˈbɛɚ]. When someone gets around to doing this research, I hope that attention is given to the duration of the sounds that still occur. A vague recollection has stirred concerning the "disappearing 'the'" in Yorkshire English; if the recollection is based on fact rather than wishful thinking, then the closure in "at mill" for "at the mill" was longer than the closure in a matched phrase such "at Myf's". So would the [o] in the bisyllabic "totally" be longer than the [o] in, say, "holy"? [(myl) A good question! My guess, in advance of the facts, is that this varies — as it must, over historical time, as the lexical forms change from (e.g.) aqua to eau. My experience with this phenomenon is based on visits to New Jersey. Everyone in the south half of the state seems to talk like this and the north half seems headed in that direction. Have you ever been to 'lãi:si:'i (Atlantic City) in the off season when almost everyone you meet is a local? I sat in a coffee shop for two hours just listening to cops come and go and speak in this bizarre abbreviated patois. Bizarre for an Arkansawyer who grew up in Inland California, at least. Neither phonetician nor American, I can't help wondering if the difference between the t in "prints" and in "patients" is (partly ?) because the latter t comes at the end of an unstressed syllable. MYL: Thanks for the comments to me and ardj and for the examples. I think I hear a tiny little /t/ in some of the samples, though less than half. This may only prove that I'm not a linguist. I can imagine a firs' step of comparing "patience" and "patients", "residents" and "residence", etc. I think that would be the wrong question. All native speakers, so far as I know, merge pairs like patients/patience in normal speech. The question of whether any [t] is audible is a matter of idiosyncratic or random variation, rather than spelling – just like linking/intrusive 'r' at word boundaries of non-rhotic speakers. There are other clusters in which such an 'epenthetic' stop can easily appear/disappear, but none that are so uniformly merged. But I can guess the people that regularly have [t] in those words are also likely to insert a [t] in 'else' and say the 'p' in 'empty' and 'Thompson' (I don't). In fact if I were asked for a word with silent 'p', 'empty' is the first that would come to mind, but I wouldn't say it because I think I might be laughed at. Is this the same as the phenomenon of the word "alright" being pronounced (and even spelled) "a'ight"? I actually noticed myself saying it just before I remember noticing seeing the spelling elsewhere. No, surely that isn't a sound change because R before a stressed vowel doesn't delete anywhere else. I think the particular king of laziness that produces 'a-ight' is peculiar to interjection words. I don't know if I've ever said it that way, but certainly I do say the more common L-deleting pronunciation 'awright'; that may indeed be a sound change, though the only common words it applies to are alright, already (ophthalmologist being the only other I can think of right now – the L must be followed by m, n, or r, then a stressed vowel) – by the way, this is another illustration of how 'alright' is not 'all right' (L can't be deleted in the latter, unless you habitually vocalise L) and pedants that prescribe only the latter spelling are ignorant. Addressing the subject, I can't take seriously any transcription that puts STRUT in the first syllable of Bannon's "gonna" – it's very clearly schwa, as it normally is for most Americans including me. It is inexplicable how one could really think it sounds like 'gun a'. In fact, the closest other vowel to that schwa is FOOT, and before I learned about phonemes that's what I thought I used in 'gonna' and adverb 'just' (the latter is spelled 'jist' in eye dialect, showing the other vowel closer to schwa than STRUT is). But it is true that he entirely elides the second syllable of 'totally' – evidence of sound change? No, not itself, not he, nor anyone else, would say 'totally' that way in isolation. Without much stronger evidence it just seems like more reduction of 'low entropy words', which everyone exhibits to an extent, and the reductions are not always predictable or recorded in dictionaries. Even if the word became a perfect rhyme for 'holy', thus, it could not be mistaken in that context.
" the fact that most Americans do not actually pronounce a phonetic [t] in the final cluster of words ending in unstressed /Vnts/. For example, in the 2015 Fresh Air interview with Dr. Vincent DeVita about cancer treatments, there are 11 instances of the word "patients" spoken either by Dr. DeVita or by Terry Gross, and not a single one of them has a phonetic [t]"
I have no 't' in apartment; it doesn't disappear but assimilates to 'p'. Aparpment? I don't think so. It has been shown such assimilations are not complete. While the release of the stop may seem labial because of the continuous transition into the following consonant, the closure is assuredly (unless you speak in a way unfamiliar to me) alveolar (and/or glottal). Possibly some non-native speakers do produce such un-English assimilations; I haven't noticed. This reminds me of this older post about the country song "Somethin' 'Bout a Truck". @Jerry Friedman: I do add a t to prince (prints), as well as a p to Amsterdam (Ampsterdam). But I too have caught myself t-dropping.